إذا كنت تبحث عن فندق بموقع جيد في وارنامبول، فقد وجدت ضالتك في Quest Warrnambool . يقع مركز المدينة المثير على بعد 350 km فقط. بالنسبة لمن يريد الخروج، هذه بعض المعالم السياحية المتوفرة للزوار ‪Warrnambool Art Gallery‬, ‪Warrnambool Botanic Gardens‬, Warrnambool Independent Traders Market. إن Quest Warrnambool حريص على توفير الراحة للنزلاء، فلا يوفر الموظفون جهداً في تقديم أفضل الخدمات وضمان حسن الاستقبال. تتضمن الميزات الرئيسية في هذا الفندق: واي فاي مجاني في جميع الغرف, أمن على مدار 24 ساعة, خدمة التنظيف يوميًا, خدمة سيارات الأجرة, مجهز لذوي الإحتياجات الخاصة. في Quest Warrnambool غرف نوم يزيد عددها عن 41 صممت بذوق وعناية لتوفر لك كل وسائل الراحة . بعضها يحتوي أضاً على تلفزيون بشاشة مسطحة, اتصال لاسلكي بشبكة الإنترنت (مجاني), غرف لغير المدخنين, مكيف هواء, خدمة الإيقاظ. يقدم الفندق خدمات رائعة كمثل مركز للياقة البدنية, حمام سباحة خارجي, حديقة لمساعدتك على الاسترخاء بعد نهار طويل من النشاط والتجوال في المدينة. اكتشف مزيجاً ساحراً من الخدمة الاحترافية والخيارات الواسعة من وسائل الراحة والمتعة في Quest Warrnambool. The hotel is fine I just didn't get the room I booked. I booked a 1 bedroom apartment, king bed, they gave a tiny suite of double bed.. They couldn't change me because by the time of our arrival the hotel was booked out. They didn't refund me the difference saying it was the rate corresponding to the arrival day... So the fact of booking in advance and on a booking engine didn't make a difference for me, neither offered a late check out at least. best stay if you are driving along the great ocean road. clean room and nice bed in an excellent location. Good customer service, very friendly, cosy room but the bed was uncomfortable for my Husband and me. Did not have a good night sleep. Location was near to shops. The room was spacious and comfortable. Will return if visiting Warrnambool again. 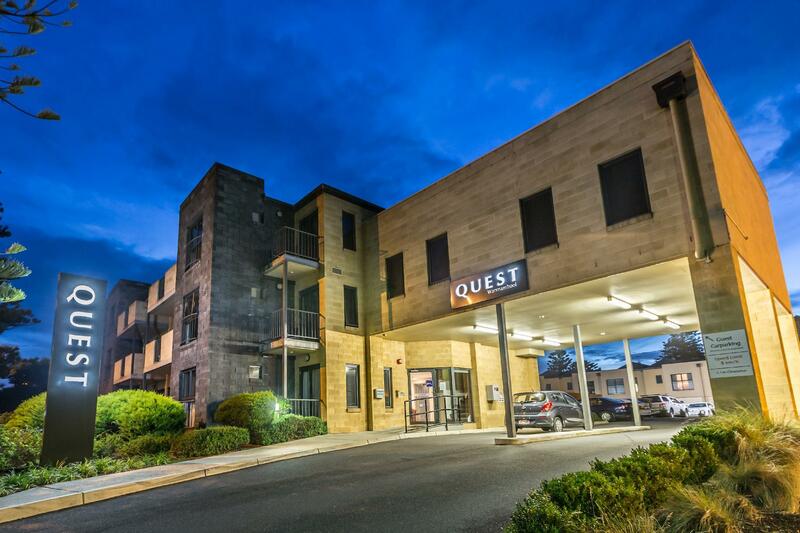 Was a clean, comfortable and modern hotel...it was what would be expected from a Quest hotel. Location was walking distance to the main town and nice restaurants. Good overall hotel for the price, would stay here again. Location was good, apartment was clean, and service was good. The apartment is very easily accessible, and clean. The only drawback was the sound insulation. Rooms on the lower floor can hear footsteps on the second floor. 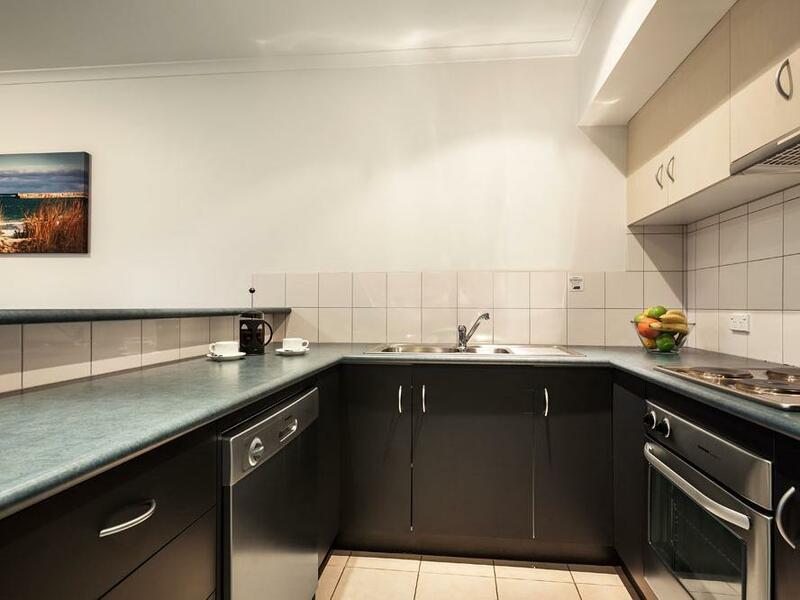 fully and well equipped kitchen. private garage for 3-bedrooms. As we arrived late and left early, can't say much about staff service and location. But overall pleasant experience. Very disappointing. Extremely noisy room due to room being located on the main road. Had no sleep whatsoever. No vanity in bathroom. Unable to place toiletries anywhere. Will not stay at Quest ever again. No value for money. The central location in Warnambool. Clean and spacious. Private garage. The central location in Warnambool is a big plus. The apartment is self contained with washing machine and dryer provided. 2 packets of soap powder is also provided. The place is clean, with generous living/dining space. 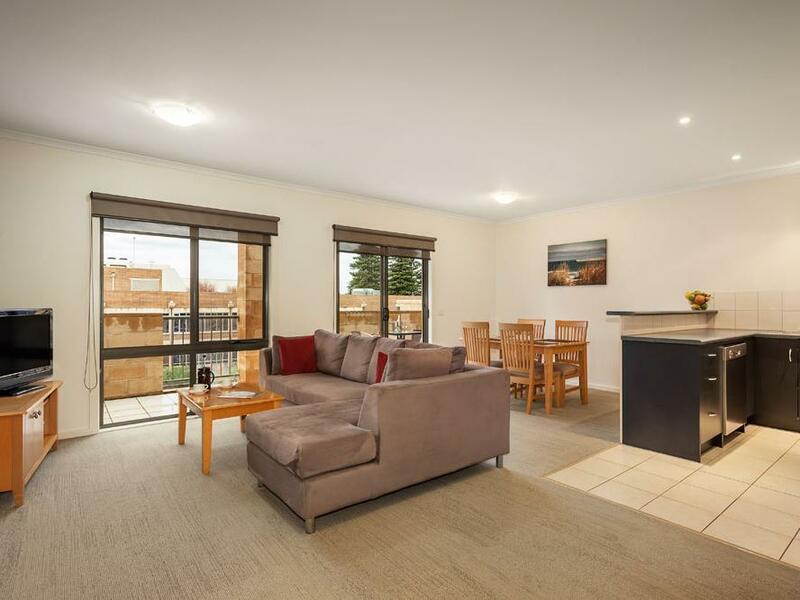 Very convenient to Warrnambool shops and short walk to beach. A bit dated but had everything you would expect. 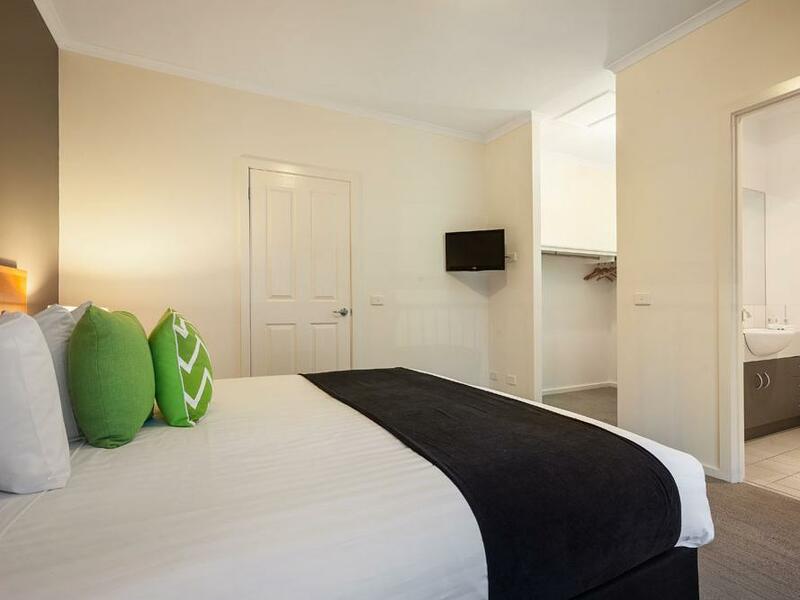 Nice little boutique apartments in top Warrnambool location. We had a great room on first floor overlooking street so could see what was going on from balcony. I'd stay again. very clean apartment , good location and lots of restaurants on the street. 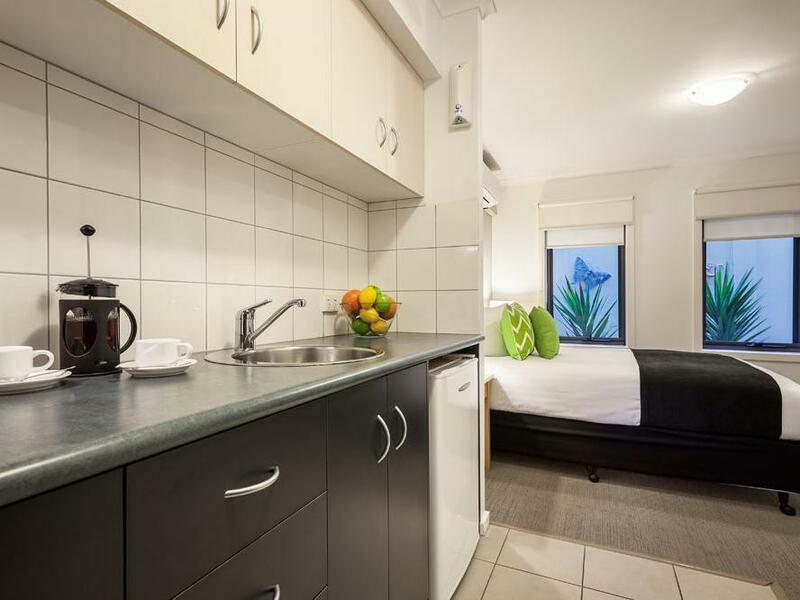 nice big 1 bed room apartment, it has also the washing machine and dryer. room and bed was comfort. the only minus was the wifi was very slow.